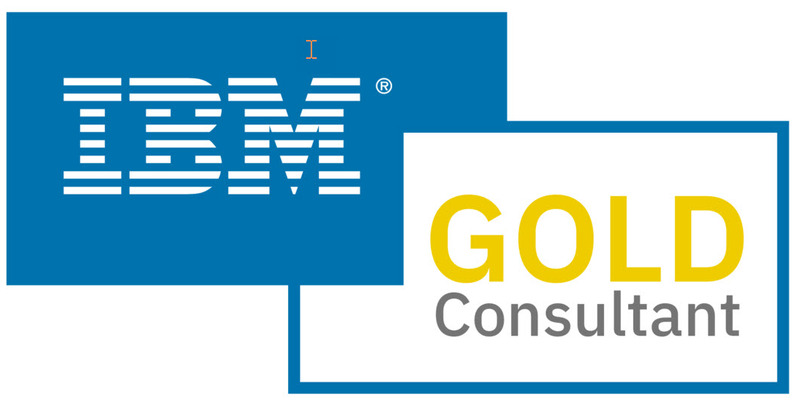 IBM announced that their Change and Configuration Management Database (CCMDB) will be shipped on June 30, 2006 -- along with additional process management tools. The IBM CCMDB is billed as a command center for the automatic discovery of IT information on servers, applications, storage and network devices and software across an enterprise. To hear more about IBM's news read this Q+A with Al Zollar, general manager for Tivoli Software at IBM, conducted by Computerworld. Why is this interesting? Well, for one, it seems like IBM has a good handle on the actual problem, linking it to master data management. And IBM's system software is typically top notch. But to take it up a few levels, why should anyone truly adopy CMDB? Well, according to a recent article Network World (CMDB adoption: What some numbers tell us and why) the CMDB is at the heart of change and configuration management, service assurance, and problem and incident management initiatives. Sometimes those of us who work with mainframes can start to take them for granted. But today's mainframes offer many great features and capabilities for delivering extremely high availability. To that end, I just wanted to point my readers to a nicely written article that details the availability features of z/OS. OK, so yesterday I said that I wasn't going to post another blog entry from IDUG, but I guess that was a lie because here I am posting another entry. But not to fear, this will be a short one. I just finished my final presentation (the one on NULLs) and I'm sitting in an empty hallway as I type this. And, I have to say, this has been a very productive IDUG. Anyway, I know that my blogs on IDUG this week have been brief, but that is because IDUG is a very busy week for me (as it is for most of the attendees, I suppose). If you are looking for more in-depth coverage of IDUG, I suggest you check out IDUG's Official Conference Blog. There is a LOT of great stuff (as well as pictures) posted there. Also, if you are interested in another perspective on IDUG, click on over to Willie Favero's DB2 Blog for Willie's insights on the week. It has been a busy couple of days here at the IDUG conference in Tampa this week. Let me catch you up if you aren't lucky enough to be here. First of all, the vendor exhibit hall was rocking Monday, Tuesday, and Wednesday - but as of lunch today, the exhibit hall is over. Let's see, Compuware was giving away yo-yo's, Golden Gate had light up balls, NEON Enterprise Software was giving away cool black t-shirts, the Database Brothers were zooming around the hall on a Segway that they were giving away, and SoftBase had a slew of stuff including sunglasses, baseball caps, and stop watches. And IBM has finally put out a DB2 Catalog poster of their own. So now you can choose whether you want the CA, BMC, or IBM version. Or better yet, get all three and use them to wall paper your cubicle! And let's not forget that CA held their annual party which is always a highlight of the show - at least for the drinkers in the crowd. But wait-a-minute, I don't think I've met the DBA who won't quaff a brew when it is offered for free. So I guess fun was had by one and all. What about the serious stuff, you might ask? OK, I spent several sessions over the past two days concentrating on backup and recovery stuff. I mentioned Thomas Bauman's presentation on Day One, but I also saw Dave Schwartz of IBM outline the capabilities of IBM's Recovery Tools and Ulf Heinreich of Software Engineering talk about SEG's new Recovery Health Check for DB2 z/OS offering. Ulf's presentation discussed how automated daily checks can assure that each DB2 database object can always be recovered reliably and as fast as possible. The product can tell you how long it will take to recover - and isn't that what your boss is always leaning over your shoulder to ask when things go awry? "When will the recovery be done? When will the application be back up?" Wouldn't it be nice to tell him, "36.3 minutes, now make yourself useful and get me a refill on this coffee!" The conference is winding down, and tomorrow will be the last day. I still have my presentation on Nulls - if you want a preview of that, read my blog from a week or so ago titled Using Nulls in DB2. So this will be my last post from the IDUG show floor - after my presentation tomorrow, my wife is flying over here to join me for a few days of vacation on the Florida coast. After this week, I think I've earned... heck, we've all earned it, so maybe I'll see some fellow attendees on the beach this weekend. Just don't ask me to take a look at that outer join that is vexing you - I'm on vacation! Oh, yes, I almost forgot to post about my presentation on Monday. I spoke at a vendor-sponsored presentation for NEON Enterprise Software. The topic was on Change Management for DB2 Access Paths - and it is an important topic to consider. Although my presentation was followed by a product pitch for NEON's BindImpact Expert, the topic warrants consideration, product or not. Basically, the thrust of the presentation is that more focus needs to be applied to managing DB2 access paths. We implement strict change management procedures on every other change we make in the mainframe environment: program changes, system software changes, PTFs, etc. But with access paths it is move the DBRM to production and BIND. We don't move access paths, we create new ones on the fly in the production world. Is this any way to work? The result of this situation is that many sites often BIND once, and then never REBIND for fear of introducing degraded access paths. This is an unfortunate situation. Basically, what this does is penalize EVERY statement because we are worried about 2 or 3 statements that might degrade. I know these two things seem at odds with one another: that is, we need change management but we also need to keep REBINDing. And they are. But the proper response is NOT to stop all REBINDs, the proper response is to introduce methods and procedures for implementing a change management discipline. And that is where the NEON solution comes in. Just a quick post to report on the first day goings-on at the IDUG North American conference in Tampa. As usual the keynote was entertaining and highly attended. Bob Picciano of IBM talked about "Information as a Service... A New Era in Databases." The basic thrust of the pitch was that SOA and services will provide organizations with the ability to better integrate information and transform and modernize their existing systems. I also attended a great overview of DB2 Recovery by Robert Goodman of Florida Hospital. He outlined a series of more than 30 tips on how to best implement DB2 recovery practices and procedures. I'm just now waiting outside the exhibit hall which will open in a few minutes. On May 2, 2006 IBM announced the beta for the next version of mainframe DB2: namely, DB2 V9.1 for z/OS. You can view the announcement here. According to the announcement the key areas of improvement in V9 will be in business insight innovations, cost savings through optimized innovations, and business resiliency innovations.